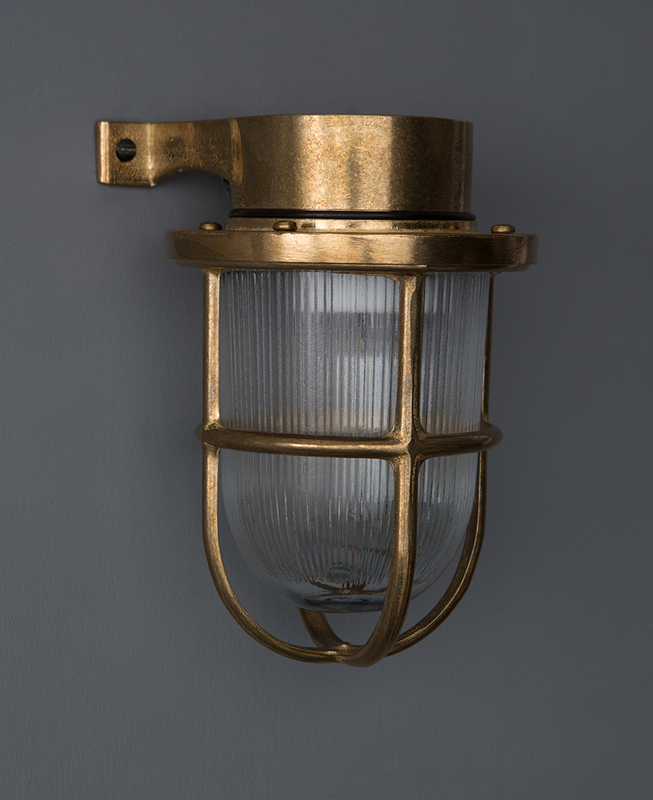 Our Simon bulkhead light is just the ticket for showing off indoors, outdoors, in bathrooms, or wherever you fancy really. 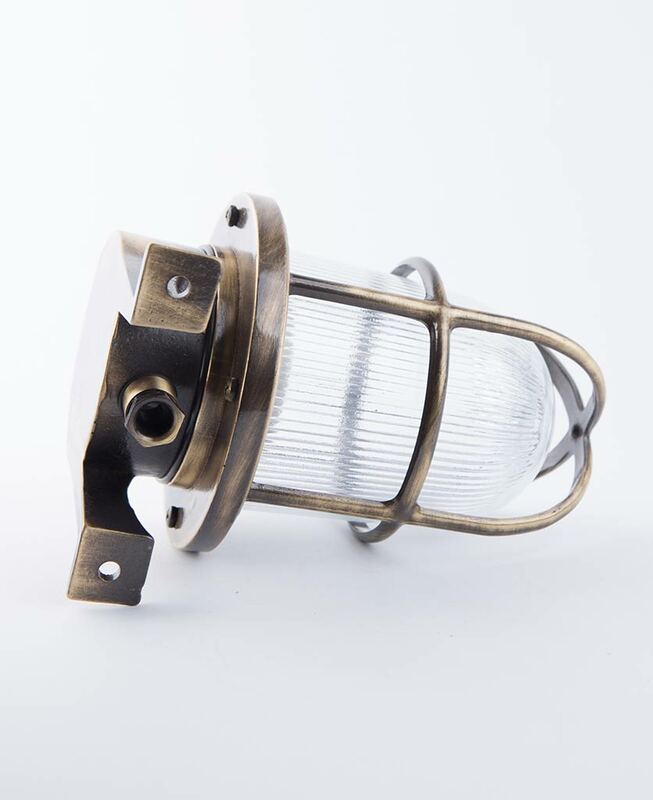 Made from solid steel with a traditional caged design, Simon is everything you want in a bulkhead light; strong, robust and versatile to boot – use him as either an up-lighter or downlighter. 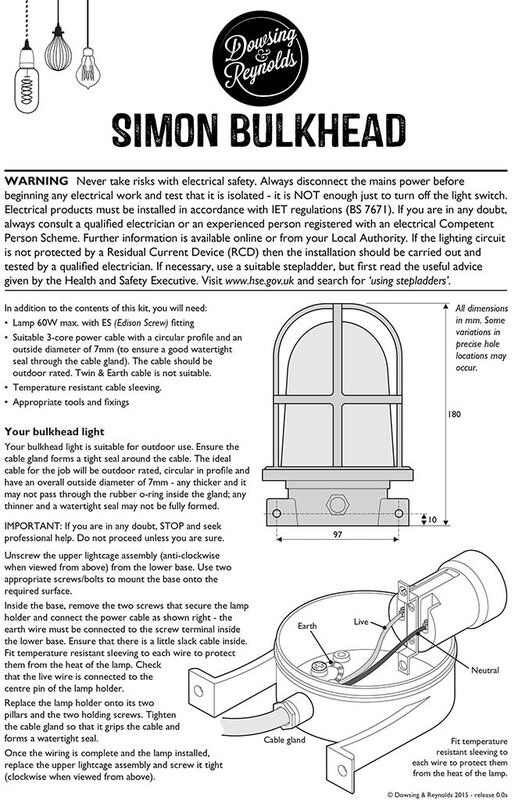 We love a Simon bulkhead light mounted on the wall either side of your wood-burning stove. He fits right in with a Gentleman’s industrial heritage kind of vibe. 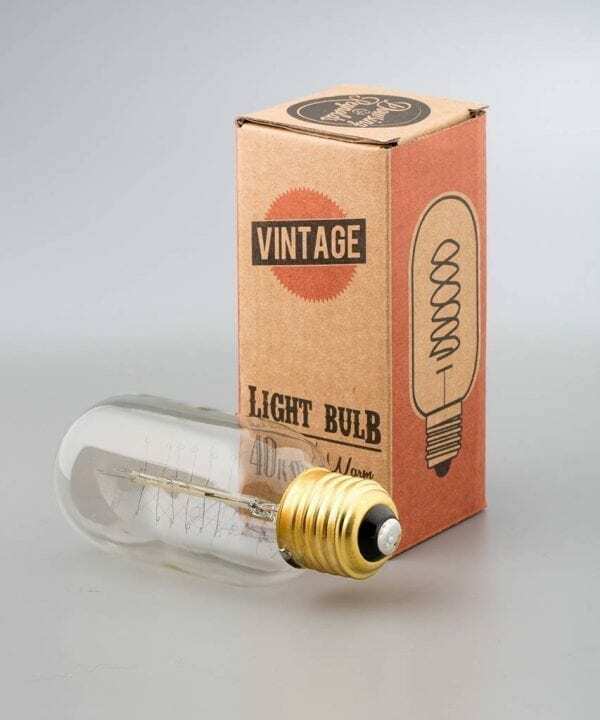 He’d also be great as a bedside wall light in a warehouse loft style apartment. Simon is a versatile chap and can even ‘live’ outside. Use bulkhead lights to liven up any plain wall be it whitewashed brick, plaster or wooden cladding. They make great wall lights especially if you’re looking for something a little more industrial than your average wall sconce. 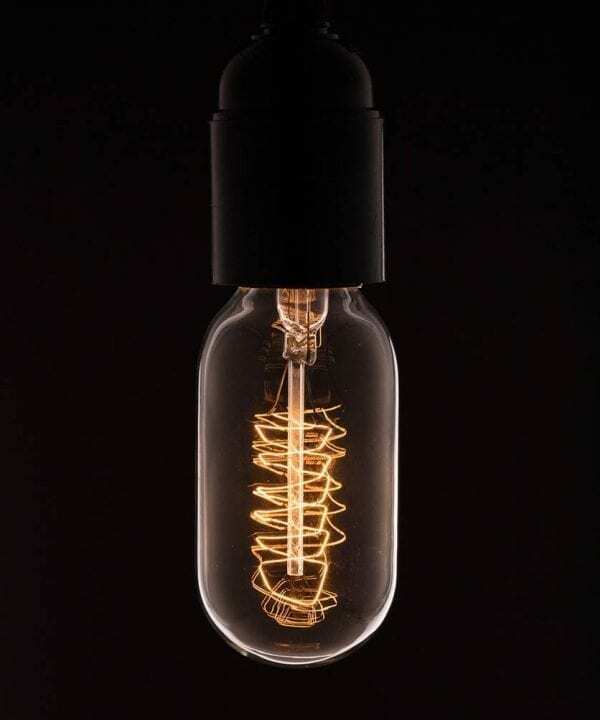 Perfect in a stairwell or hallway, even outside to light up your decking or by the front door to welcome you home. 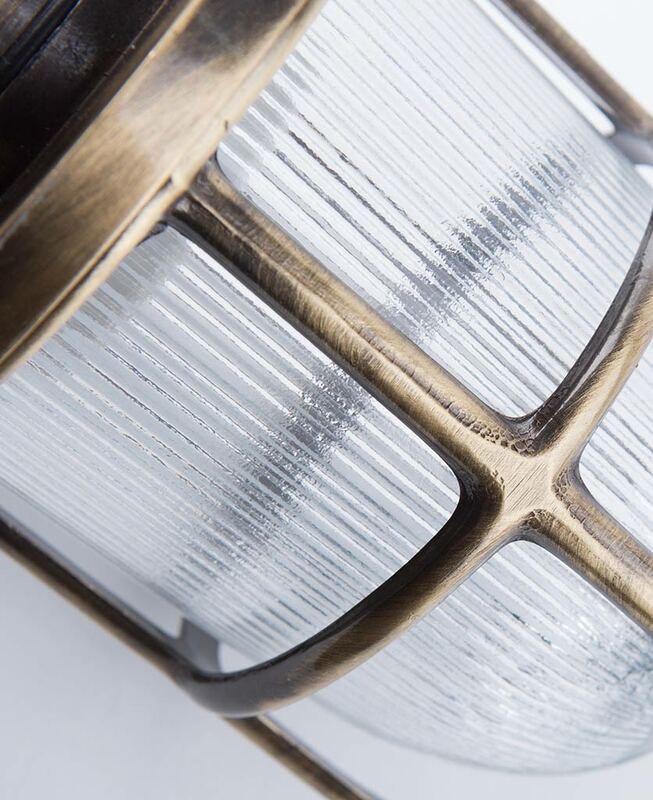 If you need a recommendation then our bulkhead light Simon makes a fantastic down-lighter for your bathroom too. Trying to find bulkheads that are a little bit different can take time – we think our Simon fits the bill perfectly. He looks amazing fitted to exterior walls lighting up your decking area and extending the time you can spend living in your outdoor space – weather permitting of course. And he’s versatile, use as an up-lighter or down-lighter depending on your preference. We probably love him best as an up-lighter next to the front door.